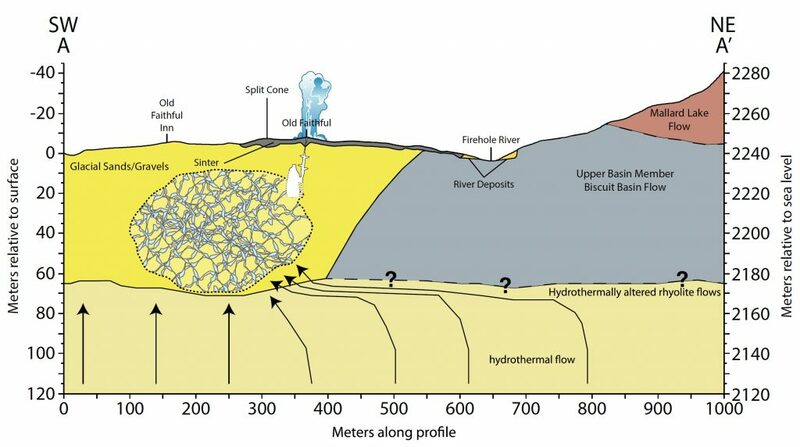 Methods for thermalsiphoning supercritical CO.sub.2 within a geothermal formation includes providing a geothermal energy system that includes an underground hot rock reservoir, a production well, and an injection well that together form a fluid path suitable for circulating supercritical CO.sub.2. The supercritical CO.sub.2 flows by thermosiphoning. Thermosiphoning is maximized by maintaining a pressure between 1400-4000 psia, an injection temperature in a range from 50-200 C and a production temperature in a range from 150-600 where injection temperature and the production temperature differ by at least 50.degree. C.
According to the California Public Utilities Commission, CCAs – Community Choice Aggregators – may be serving up to 85% of state load by the 2020s. Many dozens of counties and municipalities are coalescing to form further CCAs, in addition to the half dozen already up and running. All these new CCAs must develop clean power procurement strategies appropriate to their local mandates, organize funding, identify key partners (consultants, power brokers and schedulers, project developers, third party aggregators), design and issue RFPs, and learn about evolving PPAs for renewable or low carbon power. Researchers say a combination of human activities and the El Niño weather phenomenon drove CO2 to a level not seen in 800,000 years. Scientists say this risks making global temperature targets largely unattainable. 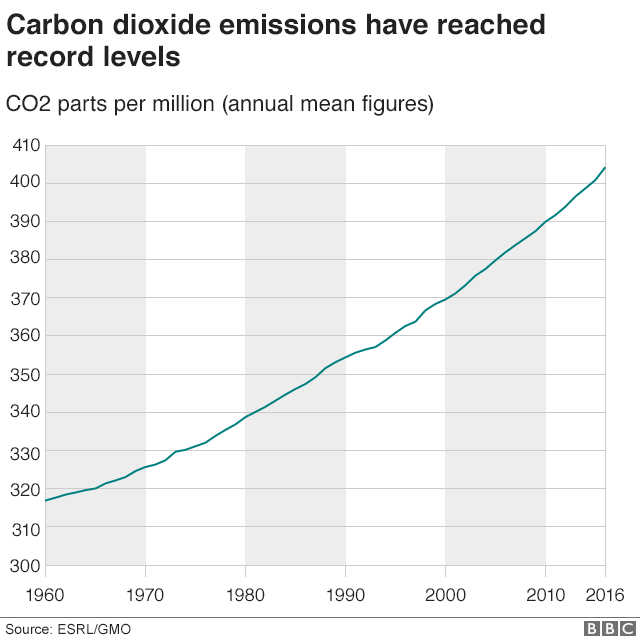 This year's greenhouse gas bulletin produced by the WMO is based on measurements taken in 51 countries. Innergex Renewable Energy Inc., a renewable energy company based in Québec Canada, and Alterra Power Corp., based in Vancouver, BC, have announced today that they have entered into an arrangement agreement pursuant to which Innergex will acquire all of the issued and outstanding common shares of Alterra for an aggregate consideration of $1.1 billion, including the assumption of Alterra’s debt. Alterra will complement Innergex’s current operating, under construction and prospective projects, resulting in increased geographic and technological diversification through meaningful presence in the United States and Icelandic power markets as well as the addition of geothermal power generation to Innergex’s production mix. Alterra Power has a 54% stake in the 54 MW (Net Installed Capacity) Reykjanes (1&2) geothermal power plant and a 54% stake in the 49 MW (Net Installed Capacity) Svartsengi geothermal power plant which includes a a 30% stake in the Blue Lagoon Geothermal Spa and Resort. Book your room now for the 2017 Geothermal Technologies Office (GTO) Peer Review. The deadline for booking a room with the GTO hotel block is Tuesday, October 31. Click here to reserve your room. Where do your main interests lie? My interests lie mainly in geothermal, in particular in conceptual models, reservoir management and project development. How does the ISE program allow you to combine your interests with your work here? As I mentioned before, my focus is on geothermal energy, it's conceptual models and project development. The ISE program classes provide me with more valuable knowledge than a much more specific program in geophysics for example. This is very beneficial for me since I want to work on the project construction and development phase of geothermal plants, which involves more that the exploration phase on a geothermal project. Here, I have the opportunity to do some training in energy economics, energy policies, energy technologys and environmental impact, all of which are key for me. I consider this knowledge as necessary basic general concepts that an energy industry project developer professional must have. Where would you like to go after completing your studies here? I am very open to possibilities. 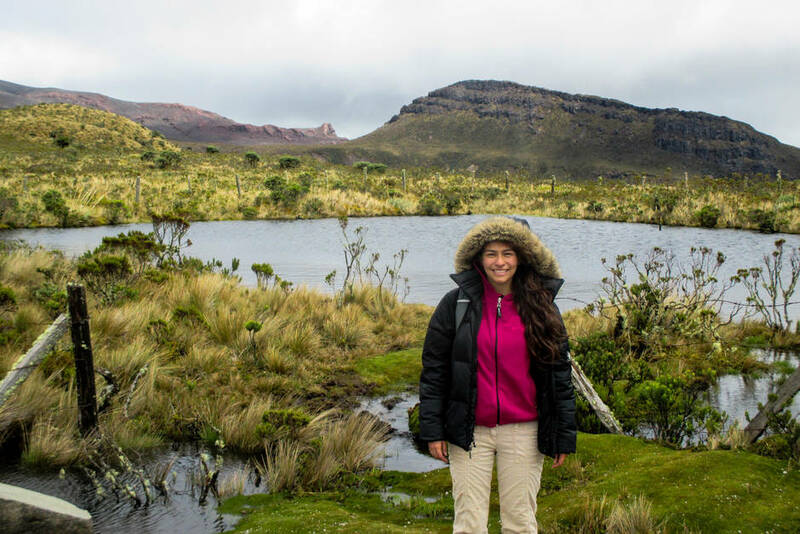 What I know for sure is that I want to develop experience that I can take back to my country eventually in furtherance of improving Colombia's geothermal development. Australian company Delta Building Automation has completed an interesting project near Perth in Western Australia. A source of geothermal heat has been used to heat Hale High School's geothermal Beach Pool project in Scarborough. Delta's Building Management System (BMS) was used to tie several contractors contributions together on this project. The BMS, enteliWEB, controls the heating of the pool, air conditioning, geothermal monitoring, community engagement screens, metering and public transport information. The geothermal water is used to heat the Lap pool to 27°C the Leisure pool to 32°C as well as the domestic water, used by the pool's kiosk, showers, toilets and tenancies. On the edge of Mt. Suswa, an active volcano in southwest Kenya’s Rift Valley, Kipas Ole Masiodo checks on volcanic steam rising from cracks in the ground, careful not to let any go to waste. As prolonged drought dries water reserves across Kenya, harvesting these fleeting wisps of water vapor near Masiodo’s home has been a lifeline for his family and community. Using aluminum sheets and a concrete tank, his community traps the steam, which when cooled can become drinking water. Masiodo said a single steam trap is able to collect at least 200 liters (53 gallons) of water every day – and his village now has 20 of the traps. Terrapin Geothermics is Edmonton based clean technology and renewable energy company. We are developing an advanced sterling engine to convert waste heat to electricity and providing renewable energy advisory services to municipalities, counties and indigenous communities. Our team is a mix of experienced entrepreneurs, energy experts and project developers. Terrapin has an easy going startup culture. We are currently conducting a set of studies looking at the geothermal resource potential of specific regions in Alberta. There is opportunities for summer internships and longer term employment. We are aiming to hire a 3rd or 4th year geology student to work from our downtown office 15-20 hours a week. We are happy to schedule the work hours in a way that syncs with your class and exam schedule. Thursday, November 16, 2017, Charlie’s Restaurant, 1320 19th Hole Drive, Windsor CA, 6:30 pm. Guest Speaker: Jan Coppinger, Administrator for Lake County Special Districts Administration. Cost: GGA Member Price: $42 | Non-GGA Member Price: $47. Enel Green Power comunica di aver rimesso in esercizio la centrale “Cornia 2”, situata in zona Lagoni Rossi nel territorio comunale di Castelnuovo Val di Cecina: il 3 agosto scorso le torri di raffreddamento erano andate distrutte a causa di un incendio che, sviluppatosi molto all’esterno del sito, in un’area boschiva nei pressi del fiume Cornia, aveva poi raggiunto l’impianto geotermico nella sola parte delle torri, mentre il pronto intervento dei Vigili del Fuoco aveva evitato il contatto con i gruppi di produzione. (From Google Translation) Enel Green Power announces that the "Cornia 2" power plant, located in the Lagoni Rossi area in the municipality of ​​Castelnuovo Val di Cecina, is back in operation: on 3 August the cooling towers were destroyed due to a fire that started far outside the site in a wooded area near the Cornia River, then reached just the towers at the geothermal site, avoiding the plant thanks to intervention by Firefighters. This unique event is organized in collaboration with the University of Nebrija: a one-day workshop in Madrid with the focus towards understanding the science and technology in Geothermal Energy. When GRC Member Andrés Ruzo was a boy, his grandfather would tell him tales of a mythical city of gold deep in the heart of the Peruvian jungle. Though never believing the stories to be true, the legend of the lost city stuck with him into adulthood. Years later, as a geothermal scientist, Ruzo decided to investigate. To his surprise, he discovered an incredulous river deep in the Amazon, with water hot enough to kill a human. Historically a place of pilgrimage for shamans and sorcerers, the river now faces increasing threats from poachers, loggers and squatters. Now, Ruzo is working hard to protect it. Thursday, March 17, 2016 - Education: Andrés Ruzo - Geothermal Educator Extraordinaire! While many renewable energy advocates are harnessing the power of the sun, wind and water, GRC Member Susan Petty prefers to focus on an even more prevalent source – one right under our feet in the Earth’s layers. CleanTech Alliance Breakfast Series: Susan Petty of AltaRock Energy from CleanTech Alliance on Vimeo. “Geothermal is a source of energy that is pretty much everywhere and available anytime, but it’s something we’re really neglecting” said Petty, Co-Founder of AltaRock Energy and second speaker of the CleanTech Alliance Breakfast Speaker Series sponsored by Perkins Coie. 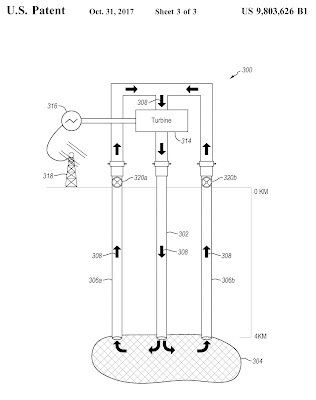 Petty founded AltaRock in 2007 to develop technology that would expand the use of geothermal energy outside traditional areas, and to reduce costs and risks associated with the technique. She brought 40 years of experience in geothermal research, policy and technology development to start the company that is changing possibilities in the field. "We are pleased to report on the flow test results from our San Emidio II development project, our near-term plans for increasing generation at San Emidio I, and in securing funding for the El Ceibillo project," said Douglas Glaspey, Interim Chief Executive Officer. "After increasing production at Raft River this year, and planned generation increases at Neal using hybrid cooling and San Emidio I in 2018, we will continue to work toward increasing generation from our existing power plants while we seek PPAs for our development projects." Two U.S. Geothermal professionals were presented with awards at the recent Geothermal Resources Council Annual Meeting in Salt Lake City, Utah. Mr. Dennis Gilles was given a Lifetime Achievement Award recognizing his over 30 years of remarkable contributions to geothermal development and power plant operation. Mr. Kevin Kitz received the Ben Holt Award for his outstanding achievement in designing geothermal power plants. Kevin's contributions to our innovative power plants, such as Neal Hot Springs, and the hybrid cooling design for the WGP Geysers project, place him at the peak of his profession. 25 January, 2018, Hyatt Regency Crystal City, Washington D.C. The event is organized by National Council for Science and the Environment (NCSE)'s Council of Energy Research and Education Leaders (CEREL). The NCSE National Energy Education Summit will engage energy educators at all levels – including K-12, higher education, and public education – in sharing best practices and developing partnerships in order to expand the impact and effectiveness of energy education. The Summit will cover what we teach in energy education, how we teach it, how we can collaborate to teach it better, and how we can overcome critical challenges. The Summit will bring together educators to work towards with employers to identify education and workforce needs and discuss how to prepare students for an inspired future in energy careers. (From Google Translation) Hot water from deep under Denmark will supply more cities with CO2-neutral heat. This is the ambition behind a new partnership between the energy company E.ON and the geothermal operating company, GEOOP (owned by Iceland Drilling Company), to reveal the business potential of geothermal energy in a number of major cities. (From Google Translation) The World Wildlife Fund (WWF) organized a discussion with parliamentarians from the Jura on Wednesday, suggesting they give up the popular initiative against geothermal energy. In keeping with the Administration’s goal of strengthening America’s energy independence, the Bureau of Land Management received bids on geothermal leases in Nevada that brought in $78,444 in total receipts during an online auction held yesterday. Twenty parcels totaling 38,308.46 acres were offered during the lease sale. Bids were received on 10 parcels, totaling 19,208.66 acres. The parcels were located in Churchill, Elko, Eureka, Esmeralda, Lander, Mineral and Washoe counties. All parcels sold for $2 an acre. The largest amount received, $20,472, was from Ormat Nevada Inc. for a 5,078 acre parcel in Esmerelda County. “By providing opportunities for energy development, the BLM is supporting job creation and the economy of local communities,” said Marci Todd, Acting BLM Nevada State Director. Geothermal leases are for an initial 10-year period with 50 percent of the funds disbursed to the state, 25 percent disbursed to the county the lease is located in and 25 percent to the U.S. Department of the Treasury. In Fiscal Year 2016, Nevada received approximately $3.9 million from royalties, rentals and revenues for geothermal leases. Statewide, more than 26,000 jobs are tied to mineral and energy development on BLM-managed public lands. The previous geothermal sale was held on October 26, 2016. That sale generated $130,522, selling 14 parcels, covering approximately 32,075 acres. The next geothermal lease sale for Nevada is scheduled for October 23, 2018. Power Africa and its partners, the United States Energy Association (USEA) and the Geothermal Energy Association, recognized the similarities between New Zealand and Kenya and facilitated a Kenya-New Zealand partnership between KenGen and three New Zealand entities. These include Contact Energy, TN2T, and the Landowner Collective made up of three Maori land owner Trusts - Ngati Tahu Tribal Land Trust, Tahorakura A1 Sec 1 (Ohaki) Papakainga 338 Maori Reservation Trust, and Tahorakuri A1 Sec 30 Trust. 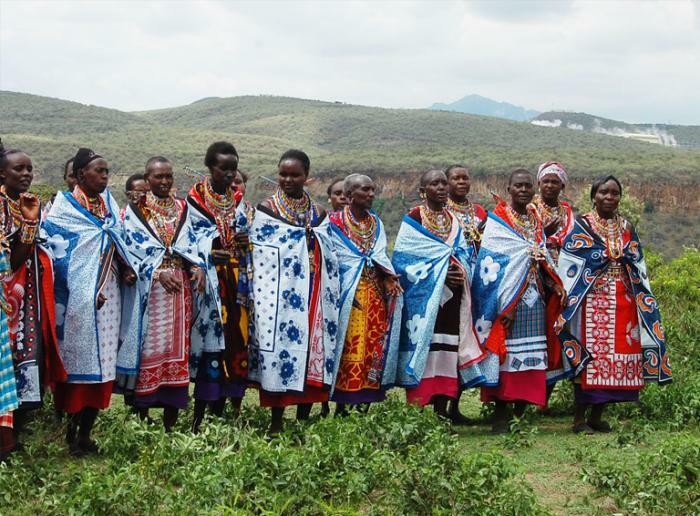 In the course of a year, USEA, through Power Africa, is supporting four exchange missions among KenGen senior leadership, Maasai representatives and their New Zealand counterparts. During the first exchange mission to New Zealand, Kenyan representatives toured the Ohaaki geothermal station, a model site that combines power generation with flood mitigation infrastructure, a sacred thermal pool, and an internship program that opens career pathways for Maori youth in the energy sector. ACEG - The Colombian Professional and Student Association in Geosciences/Geothermal Energy, has announced the Reunión Nacional de Geotermia - the national geothermal meeting for Colombia. Chinese company Zhejiang Kaishan Compressor Co. announced Tuesday that it has received a permit to explore and develop geothermal energy in Kenya. The Ministry of Energy and Petroleum in Kenya issued the permit to Zhejiang Kaishan Compressor Co to explore and develop geothermal energy in the Suswa south-Magadi-Shompole area in Kenya, according to a filing the company sent to the Shenzhen Stock Exchange. Zhejiang Kaishan will be allowed to conduct geothermal exploration in the permitted areas for three years, after which the company could start construction and operation of power facilities in the area. Geothermal is not currently deployed in markets within the scope of the Department of Energy’s proposed rule. GEA is submitting comments in this docket given the potential geothermal resource in some areas of the regions affected by the DOE proposed rule and given the potential for this rule to influence other competitive wholesale markets where geothermal is an active market participant (i.e., CAISO). A blanket rule rewarding power plants for having onsite fuel steps over the underlying problem and, in doing so, may create new problems and skewed markets. We agree that the time is right for a national conversation about how to ensure a reliable and resilient electricity grid, and we look forward to engaging with DOE and FERC to ensure the grid-related attributes of geothermal are well understood and accommodated in federal policymaking. The GEA asks FERC to not move forward with this proposed rule and instead focus on identifying services that promote grid reliability and system resilience, and design markets (or give ISO/RTOs chances to design markets) that efficiently procure and compensate for those services. Instead of finalizing the rule, FERC should convene regional technical conferences to explore technologies and resources that are or that could provide grid reliability and system resilience services under improved market designs. Tuesday, September 12, 2017 - USA: FERC Exploring Enhanced Compensation for Generators that Provide "Essential Reliability Services"
The Caribbean Development Bank (CDB) has received EUR 12 million in grant funding from the European Union Caribbean Investment Facility (EU-CIF) to support the development of geothermal exploration in the Eastern Caribbean, under CDB's GeoSmart Initiative. The EU-CIF funds will be used to provide investment grants in the initial phases, and technical assistance grants to support capacity-building initiatives and interconnection studies. The GeoSmart Initiative was developed by CDB to provide financing to support sustainable geothermal development in five countries-Dominica, Grenada, St. Kitts and Nevis, Saint Lucia, and St. Vincent and the Grenadines. For these countries, the development of geothermal energy could be an alternative to costly and non-renewable imported fuels. 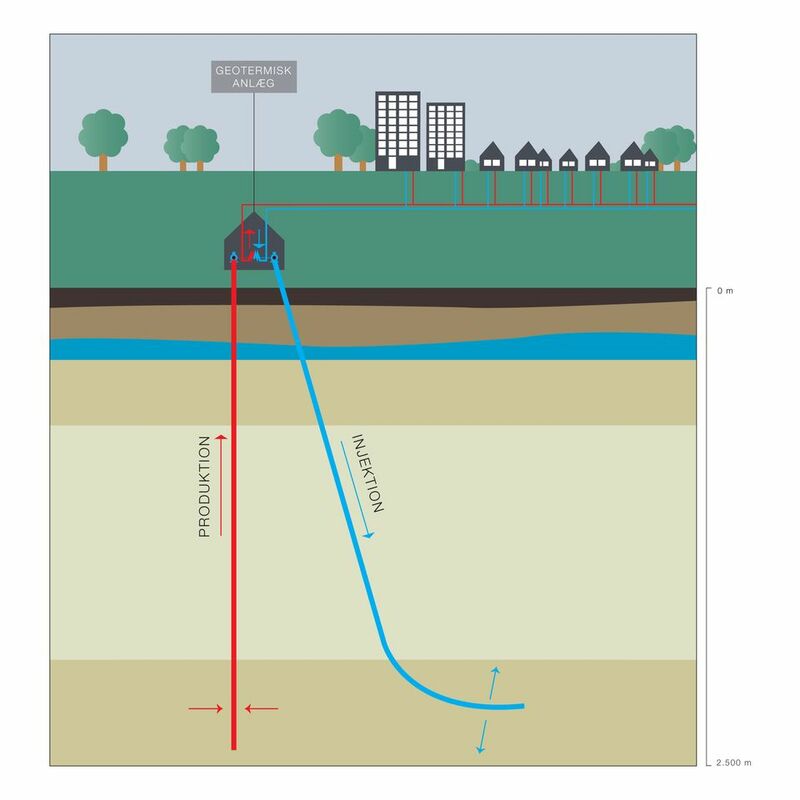 The Illinois State Geological Survey (ISGS) received a $720,000 grant from the Department of Energy to determine the feasibility of tapping geothermal energy for heating and cooling on the University of Illinois’ Urbana campus. 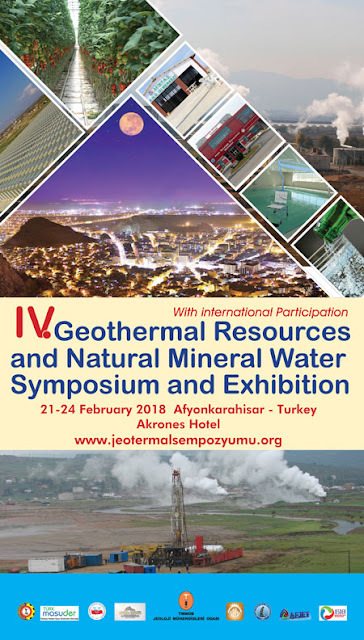 The Turkish Geothermal Association is one of the supporters of this event. 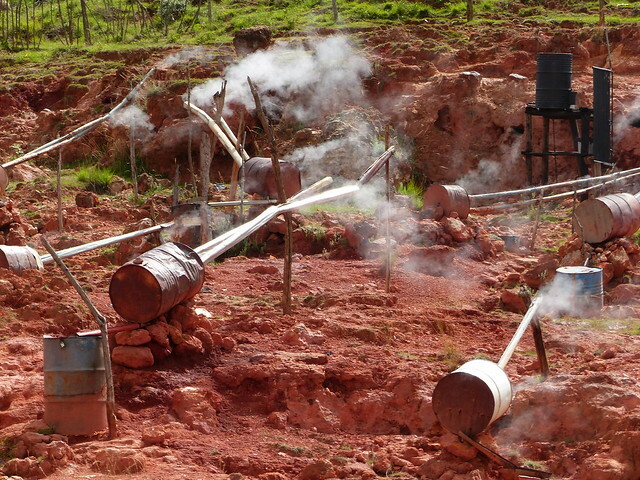 The potential Geothermal Energy In India has not yet been tapped. Puga Valley (Jammu and Kashmir), Tatapani (Chhattisgarh), Chamoli (Uttarakhand), and Bakreshwar (West Bengal) and Gujarat have been looked upon as the potential geothermal reservoirs. A centre dedicated to research & development activities in the area of exploration and exploitation of geothermal energy has been established. With the support of GoG, Pandit Deendayal Petroleum University established the Centre of Excellence for Geothermal Energy (CEGE) on 10th of October, 2013. We rarely measure the key variables operative in the magmatic environment. 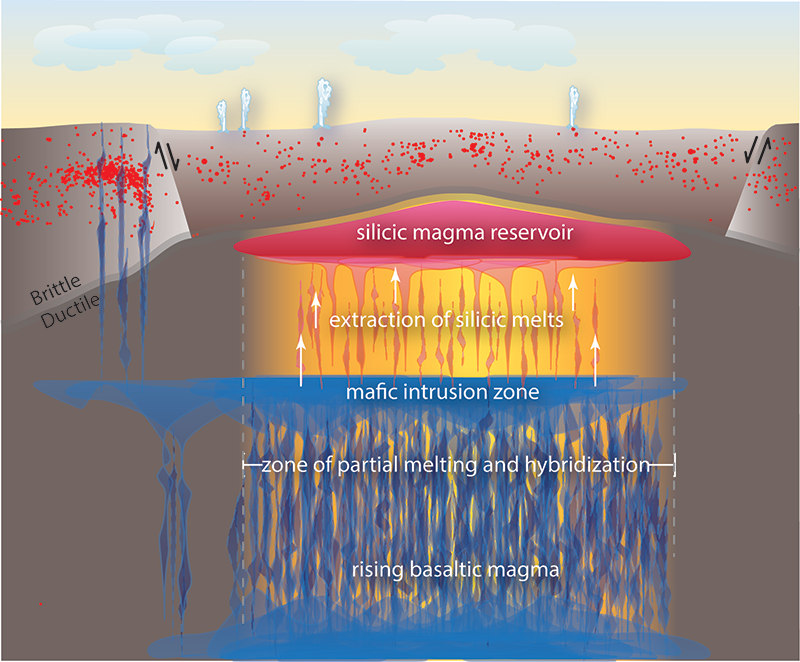 Despite major advances in geophysics and petrology, more in situ data on subsurface magmas and their surrounding hydrothermal shells are required. We see an underexplored route to get these data: drill upper crustal magma reservoirs and their peripheries. After drilling, the holes could be used as instrumented observatories. Among many other possibilities, such data could tell us if the spectacular inflations and deflations of calderas appear as commensurate and synchronous changes in the temperature, pressure, and flow rates of hydrothermal fluids. Or we might track changes during intrusive episodes by observing real-time seismic velocity changes in the materials in between two drill holes (using one as a source and the other as a receiver). 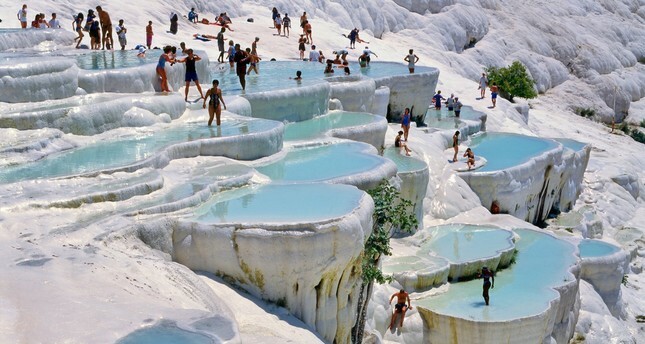 Pamukkale, meaning “cotton castle” in Turkish, is an unreal landscape famous for its white terraces. The terraces are made of travertine. The Turkish government has started to establish a road map for boosting the thermal tourism sector to allow Turkey to play a leading role in the sector in the region. In this regard, Turkey aims to attract 1 million tourists, according to a report in Turkish daily Akşam. In an attempt to step up a gear in the health tourism sector, Turkey aims to welcome 1.5 million tourists and 1 million tourists in thermal tourism. 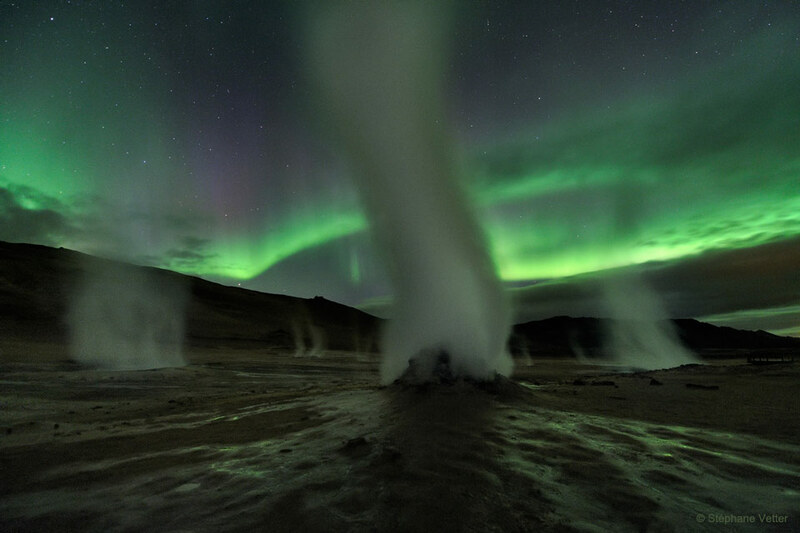 The country currently ranks seventh in the world in terms of geothermal potential. USA, Nevada: GRC Annual Meeting Location is Only Resort of its Kind in the U.S. Whose Heating is Completely Provided by Geothermal Energy Produced on the Property. 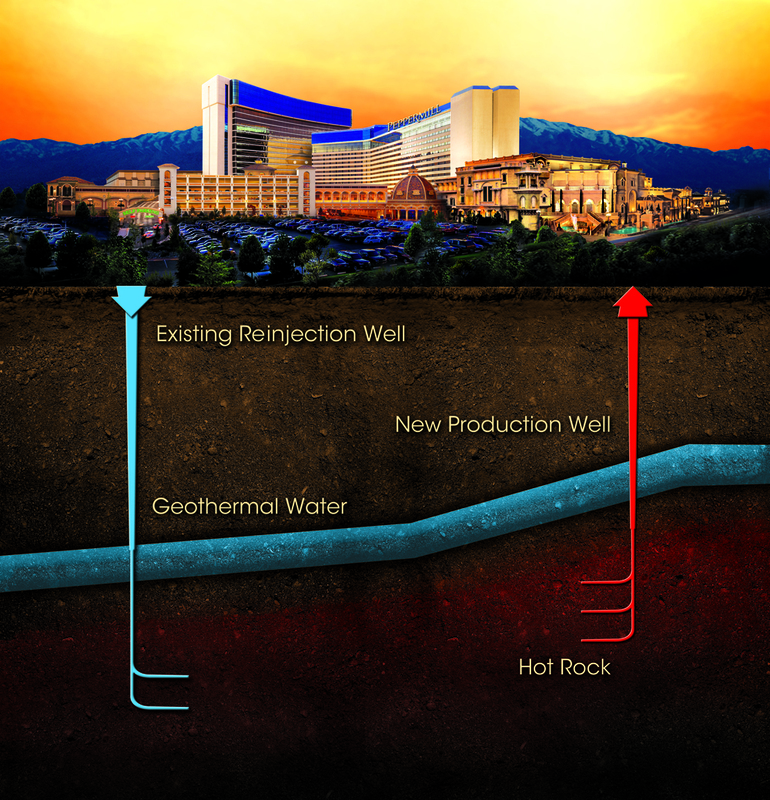 The casino-resort south of downtown Reno sits over a hot water aquifer. The owners of the Peppermill, led by the Paganetti family, first tapped into the aquifer in the 1980s to help heat the facility. "It wasn't like (the extent) we're doing right now, but it was the start of it," said Terrence Spampanato, the vice president-division manager of Pacific Mountain Contractors, which contracts with the Peppermill to manage the geothermal system. The geothermal wells provide most of the heat for the resort, which has grown from a humble coffee shop a half-century ago into one of Northern Nevada's most successful gaming properties. That includes heating the water for the swimming pool, laundry and plumbing, as well as room heating. The Geothermal Resources Council (GRC), one of the world’s premier geothermal energy associations, reports a successful 41st GRC Annual Meeting & GEA GeoExpo+ from October 1 to 4 in Salt Lake City, Utah, USA. At the Opening Session, GRC Annual Meeting Chair Joe Moore welcomed the attendees from 35 different countries and introduced an array of speakers from the regional, national and global energy communities in lively interactive panel sessions. Despite the relative stagnation in the domestic U.S. geothermal energy industry, the event was deemed a success. With more development taking place in international geothermal energy, there was more attendance this year from countries outside of the USA. The numbers tell the story - 638 attendees registered with the GRC for the Annual Meeting including 80 students. 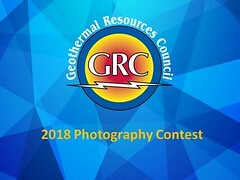 The GRC registration also included entry to the Geothermal Energy Association (GEA) GeoExpo+. Na ca. 50 dagen boren, testen en voorbereiden is gisteren het eerste water omhoog gepompt bij Warmtebedrijf Bergschenhoek. Over een paar dagen kan dan vastgesteld worden hoeveel water er naar boven komt en van welke temperatuur dit is. Daarna gaat de boortoren aan de slag met de tweede boring van de retourput. 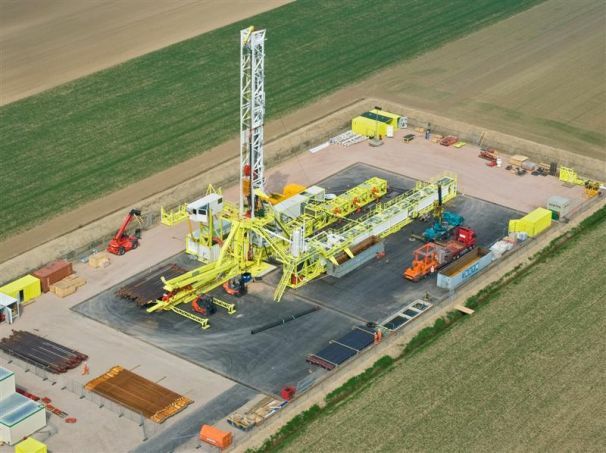 (From Google Translate) After about 50 days of drilling, testing and preparation, the first water was pumped up at Warmtebedrijf Bergschenhoek yesterday. In a few days, it will be possible to determine how much water is coming up and what temperature it is. Then the drilling rigs start with the second bore of the return batch. The Office of Basic Energy Sciences, in collaboration with the Geothermal Technologies Office (GTO), announces a topic in the latest Small Business Innovation Research (SBIR) and Small Business Technology Transfer (STTR) funding opportunity that seeks to develop advanced methods to access the subsurface. 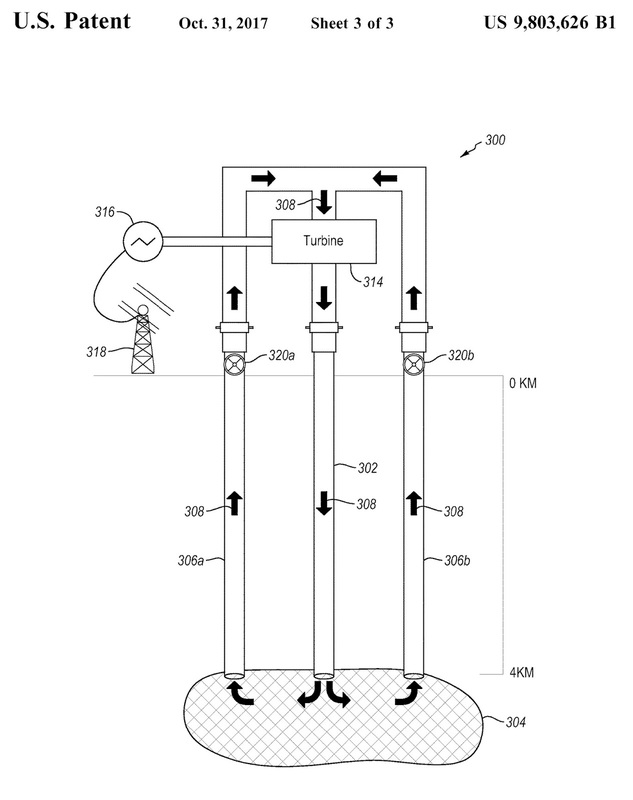 This SBIR/STTR topic seeks applications in subsurface permeability manipulation and fluid control for geothermal energy production. From beneath the surface of the earth, we currently obtain about 80-percent of the energy our nation consumes each year. In the future we have the potential to generate gigawatts of baseload electrical power from domestic geothermal energy sources. The Department of Energy established the Subsurface R&D initiative to more effectively harness subsurface resources while mitigating the impacts of developing and using these resources. One of the topic areas Subsurface R&D is emphasizing for targeted research and development is permeability manipulation and fluid control. For additional information regarding the GTO SBIR/STTR topic please click here (topic 18). October 20: FY18 Phase 1 Release 1 FOA Webinar - Please click here to sign up. Additional topics are scheduled to be announced on October 30. For additional information including the Funding Opportunity Announcement, timelines, and Phase 1 Release 2 topics, please click here. The Kenyan government has invited tenders for banks to provide letters of credit to three independent power producers at the Menengai Geothermal Project that will see them cushioned against risks. The selected lender, under a partial risk guarantee instrument provided for by the African Development Fund, will shelter the three private steam-power generators from risks such as lack of market for the generated electricity as well as political threats. “The commercial bank to be selected is expected to issue letters of credit to the three companies including Quantam Power East Africa Limited, OrPower22 and Sosian Menengai,” Geothermal Development Company chief executive Johnson Ole Nchoe said in a statement. This comes after the Energy Regulatory Commission acting director general Pavel Oimeke last month said delays in licensing, financial closure and technical hitches were adversely causing a slowdown in the setting up of power plants by GDC. Nchoe yesterday lauded Quantam Power East Africa Limited which is the first of the three IPPs to receive a letter of support from the government for the construction of a 35 MW power plant at Menengai. This will give way for the firm to begin construction of the power plant in February 2018. The geothermal mandarin drying facility of Seferihisar Municipality in Doganbey, a village in the District of Söke, Aydın Province, Turkey, had been awarded as sustainable innovation by Sustainability Academy. Sustainability Academy presents annual awards to the associations and institutions, which develop innovative projects to be good examples for sustainability. Unlike the previous years, at this fourth year of the competition the projects of local governments had been evaluated. On 27 September 2017, the African Union Commission (AUC) signed another Geothermal Risk Mitigation Facility (GRMF) grant contract for the Arta surface study project of L’Office Djiboutien de Développement de l'Energie Géothermique (ODDEG) in Djibouti. The agreement was signed by H.E. Mr. Mohamed Hassan Abdillahi, Secretary General of the Government of Djibouti, and H.E. Dr Amani Abou-Zeid, AU Commissioner for Infrastructure and Energy. The total grant amounts to USD 959,687 and represents 80% of the total cost estimated to USD 1.2 million for the surface study located on a broad valley lying on the Gulf of Tadjoura approximately 30 km east of the Djibouti City. The City of Reykjavík will assemble a task force to explore the possibility of utilizing excess hot water to create geothermal beaches at two locations in the city, RÚV reports. Reykjavík currently has one geothermal beach, located at Nauthólsvík. Hot water is pumped into a man-made lagoon, where it mixes with seawater to create a swimming area between 15-19°C (59-66°F). The beach has changing facilities and showers, as well as steam baths and hot tubs. A report by Public Utility Company Veitur states that the Nesjavellir Geothermal Power Station produces much more hot water in the summer than is used and has been disposing of the excess water. It would be possible to channel the water to Gufunes and Skarfaklettur in east Reykjavík to create the beaches. Geological issues are increasingly intruding on the everyday lives of ordinary people. Whether it is the onshore extraction of oil and gas, the subsurface injection of waters for geothermal power or the deep storage of waste products, communities across the world are being confronted with controversial geological interventions beneath their backyards. Communicating these complex scientific and technical issues is made more challenging by the general public's unfamiliarity with the geological realm. Cognitive studies confirm a cultural dissonance with the subsurface and highlight lay anxieties about tampering with nature. 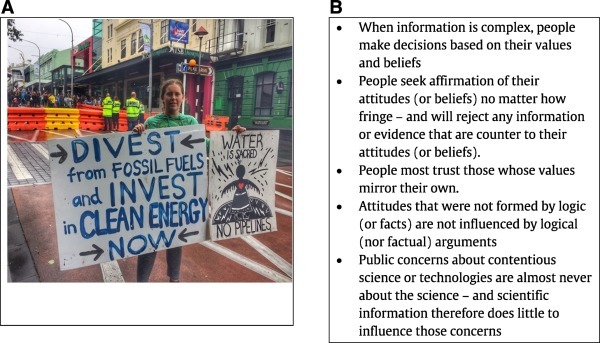 In addressing those concerns, factual information is argued to be subordinate to values and beliefs in shaping public perspectives on contested geoscientific issues. In this context, scientists' attention to technical accuracy and their emphasis on professional consensus may do little to influence multiple publics whose worries instead root into their sense of place, trust and governance, as well as equity and ethics. With a growing recognition that it is social rather than technical factors that stir public unease and fuel community outrage, geoscientists need to develop new strategies to engage dissonant publics, underpinned by a culture change in geocommunication from conveying ‘matters of fact’ to brokering ‘matters of concern’. Economic and environmental concerns have grown around old oil and gas wells in Alberta. But researchers from the University of Alberta are trying to make lemonade from lemons. They're using the wells to exploit the energy in hot water found kilometres below the surface. Pinewood Forest is First Large, All Geo Community in U.S.
A group of scientists have been examining the “heart” of Old Faithful — Yellowstone National Park’s most famous geyser. These researchers are focused on figuring out exactly what causes this rare geological formation to beat faithfully and forcefully, beginning long before the geyser was discovered in 1870. University of Utah researchers have finally produced substantial images of the geological anatomy of the geyser, complete with its natural underground ductwork that causes it to flush regularly. Over the time since its inception, the annual EGPD event has come to be known among PhD students from all over Europe, as a place to present their research and in turn, understand the work being developed by their peers at other universities. The event is organized by PhD students, for PhD students, and is intended to take place in a relaxed and friendly environment. This gives attendees a chance to network with students and academics in order to create and strengthen professional relationships, as well as to practice their presentation skills in a constructive and supportive atmosphere. Register and submit the abstracts for your presentation. You can contact us at egpd2018@ethz.ch if you should have any questions or need any assistance. We hope to see you there in March 2018! PwrCor, Inc., a cleantech energy technology company launching advanced and disruptive solutions for the Waste Heat to Energy, Geothermal, and Solar Thermal markets, today announced that it has completed the sale of $665,000 of units of the company's securities providing working capital for key company initiatives including a geothermal power plant in Northern California. 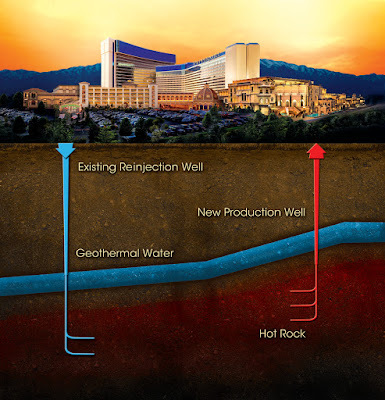 "We have successfully passed an important business plan milestone," said Tom Telegades, Chief Executive Officer of PwrCor, Inc. "The capital we raised will allow us to complete PwrCor's first geothermal installation at the Surprise Valley Hot Springs Resort sponsored by the California Energy Commission. The engine has been built to specifications and is currently undergoing testing; customer installation is scheduled in November." The Bureau of Land Management (BLM) administers 245 million acres or one-tenth of America’s land base and 700 million acres of subsurface mineral estate. Other Federal agencies such as the Forest Service and Fish and Wildlife Service also manage some surface lands, while the BLM manages the Federal onshore subsurface. BLM sets the lease terms such as royalties and rentals while ONRR collects these payments and disburses them to the U.S. Treasury, states, and counties. The U.S. Office of Natural Resources Revenue (ONRR) Geothermal Payor Handbook is divided into two volumes- Geothermal Payor Handbook-Class 1 Leases and Geothermal Payor Handbook- Class 2 & 3 Leases. 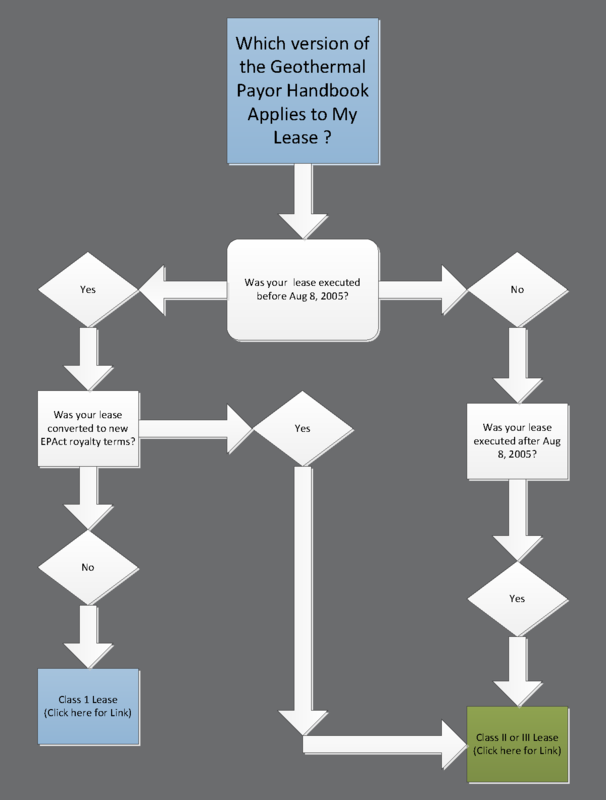 In order to know which volume to use, use the diagram above as a short guide for those who need help determining which class of geothermal lease they have. The 39th session of the Geothermal Training Programme of the United Nations University (UNU-GTP) closed on Friday 13th of October, with 23 UNU Fellows in the six month specialized courses. The Fellows came from 10 countries: China (2), Djibouti (2), El Salvador (1), Ethiopia (3), India (1), Indonesia (3), Kenya (7), Malawi (1), Tanzania (2), and Vietnam (1). The Fellows were trained in: Reservoir Engineering and Borehole Geophysics (6), Geothermal Utilization (5), Geothermal Geology (5), Chemistry of Thermal Fluids (4), and Drilling Technology (3). By Paul Thomsen‎ (GRC Member), Executive Director, Government and Regulatory Affairs - ‎Ormat Technologies, Inc. In 2017, for the first time, the combined energy and capacity values of geothermal energy significantly exceeded the value of solar photovoltaic resources in California. In the first quarter of 2017, geothermal’s wholesale energy value in Southern California was $13.50/MWh greater than solar PV. At the same time, utility estimates of marginal solar PV capacity ratings for the 2018 Resource Adequacy compliance period were between nearly 0 percent and 20 percent, resulting in a capacity value difference of up to $18.50/MWh between geothermal and solar PV. That means in California today geothermal has a combined energy and capacity value of $32/MWh higher than PV using very conservative assumptions. When you account for geothermal’s ancillary services and operational flexibility, combined values climb to more than $40/MWh higher than solar PV. These calculations demonstrate that geothermal can compete with solar PV on a net cost basis, even as PV costs continue to decline.